Yesterday, I spent the day crocheting a hat for Daffny. She has a 1930s lawn party coming up and needed a purple hat to go with her outfit. The pattern has a braided hat band and crochet bow but I also included some 1940s millinery flowers so she can swap them out for different looks. I can't wait to see how it looks with her dress! 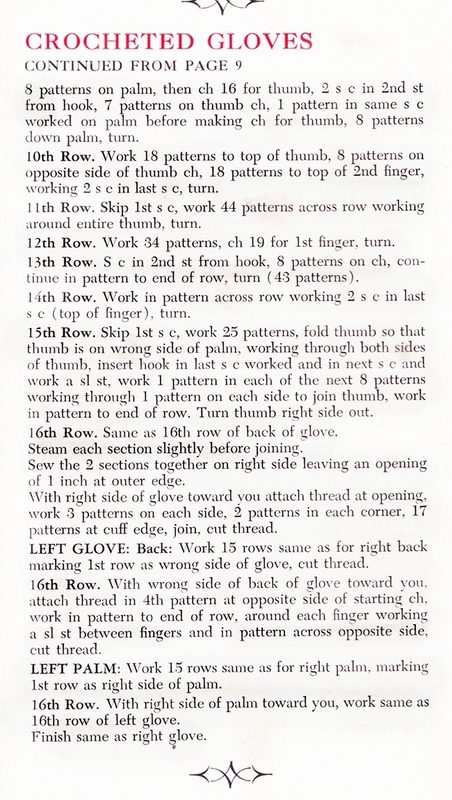 Today, I wanted to share a crochet pattern from my collection. 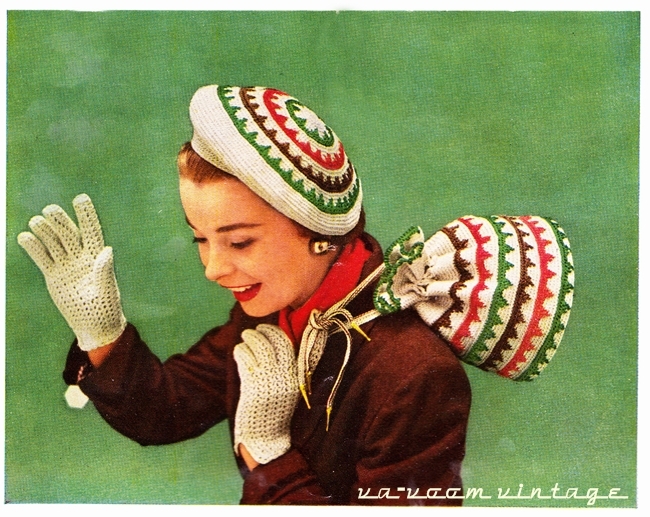 This set includes a hat bag and gloves from the 1950s. If you've never knitted or crocheted before, small projects like these are a great place to start. 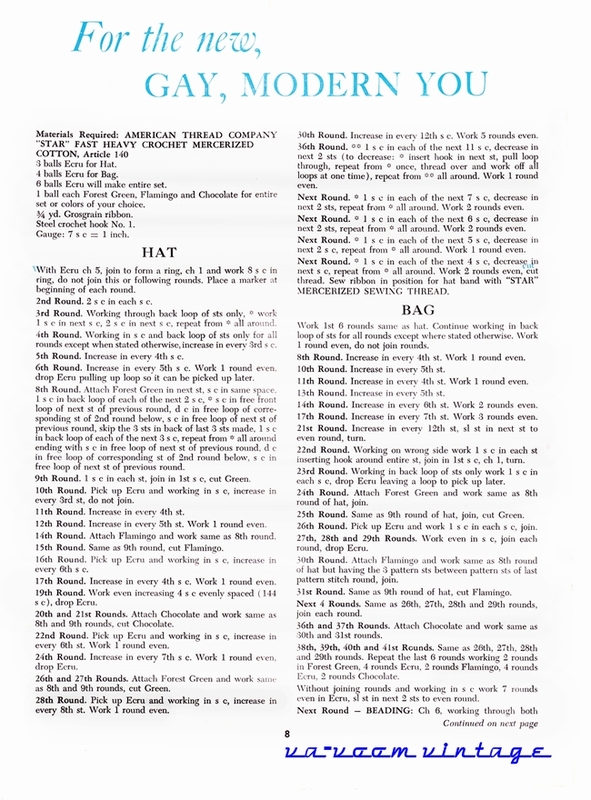 A hat teaches increase and decreases so by the time its done, you'll have the skills to crochet all kinds of things. 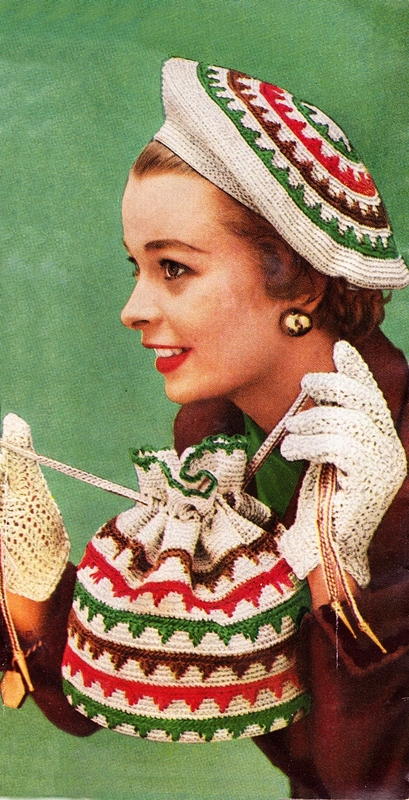 Although I am a huge fan of knitting, I love crochet because it comes together so quickly. 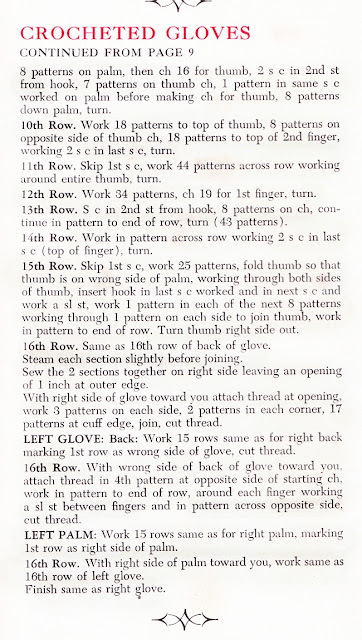 You can learn any stitch you need on YouTube and Ravelry is also a great source for patterns and crochet information. What a great friend you are! What a terrifically sweet, thoughtful present. This cheerful topper is really lovely and I'm sure the violet shade will look amazing against Bunny's dark locks. That's exactly what I was thinking! She has the prettiest skin and hair and I think this purple will look gorgeous on her!! That is so sweet of you! Lovely hat, she will love it I'm sure. And thank you for the patterns. 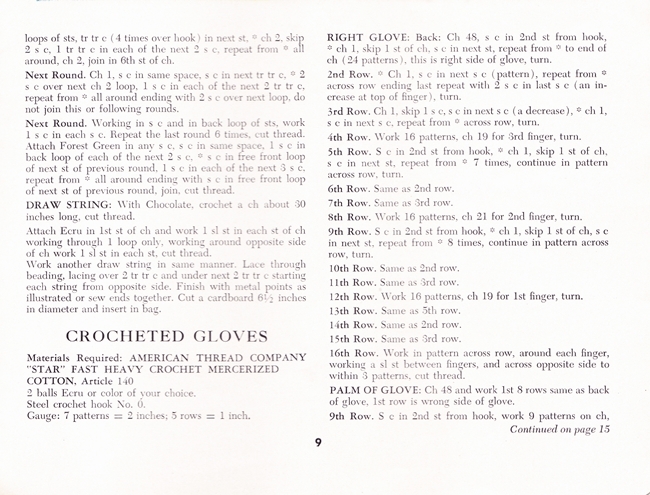 I haven't tried an english pattern yet, but would love to crochet the gloves. A great project for smaller yarn left-overs.